Meet the new cosmetic brand Aveda – the first natural professional cosmetics. Be more beautiful without harming environment or yourself. Are you natural cosmetics fan for years? Don't you know much about beauty green cosmetics? Or haven’t you heard about it yet? Either way, AVEDA should definitely not escape to you! AVEDA is the very first natural cosmetics for professional hairdressers and hair stylists. It's not so surprising that it is still the main pioneer and leader in this area. Aveda is also popluar among people who do not trust the natural cosmetics as much. At least it's a good reason to meet Aveda a bit, don't you think? Let us show you what’s uniquely Aveda. 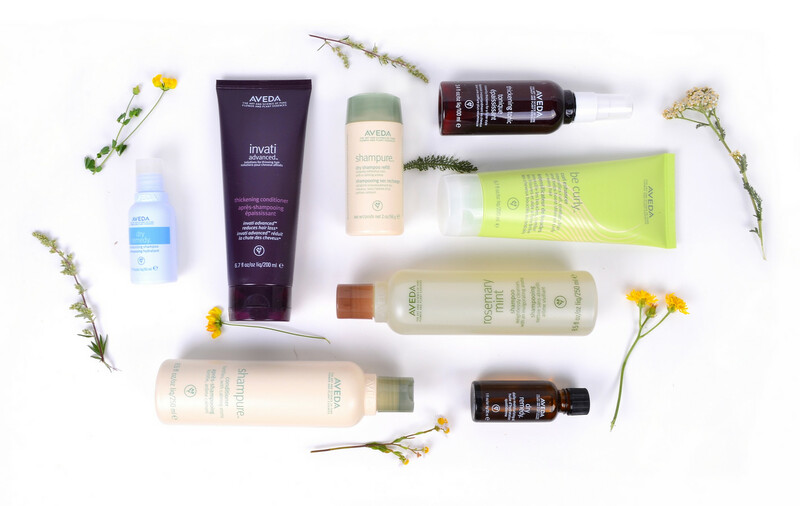 What you give when you give Aveda? The Professional Cosmetics Created by The Honoured Hairdresser! Behind Aveda stands the renowned and talented Austrian hairdresser Horst Rechelbacher, which used to work in famous hair salon in Rome, London, New York and Florida. For the success of his own brand it would be enough. But Aveda was founded due to another circumstances. Because of constant exposure of the chemical products that Horst used on his clients day by day, he became ill. 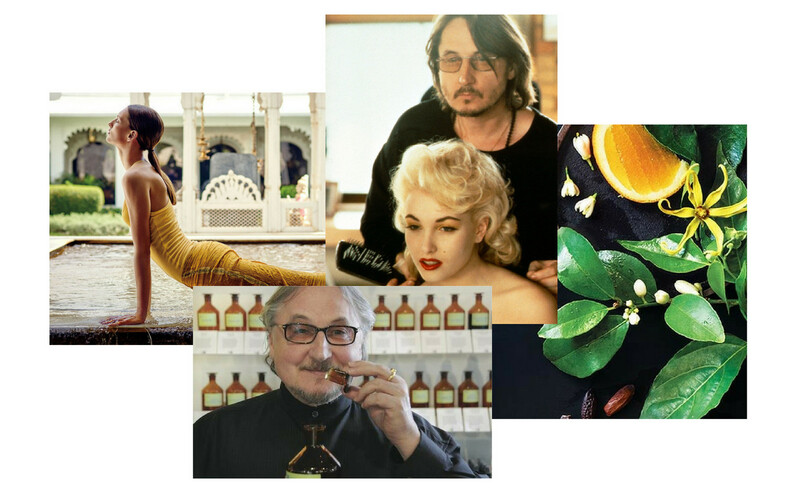 Since then, Horst was interested in ingredients, which are used in cosmetic products, and its influence on human. He found out, that cosmetic industry doesn’t offer any other alternatives he could use in his salon. He decided to create his own cosmetic brand. In 1978 Aveda was born – the first natural professional hair cosmetics. Aveda hair care calls up real hair beauty revolution. It became world-famous renowned brand soon and has received many awards. Aveda isn't just a simple regular cosmetics. It is actually a cure that arose thanks to a combination of knowledge from the hairdressing industry, Ayurveda, Pharmacology, Botany and Aromatherapy. Horst's relationship with Ayurveda began in 1976 thanks to two renowned Ayurvedic doctors and scientists. They helped him to look under the 5,000-year-old traditional Holistic Indian healing system and Ayurvedic wisdom. He fully exploited this knowledge and created the first high-performance botanical products based on botanical herbal extracts and aromatic fragrances whose task is to bring balance into the body, mind and spirit. If everything is in balance, we are happier, healthier and more beautiful. What we really like and appreciate about Aveda is fact that we can be more beautiful without harming environment. That sounds great, isn't it? It is still a fact that what is good for nature is good for us as well. 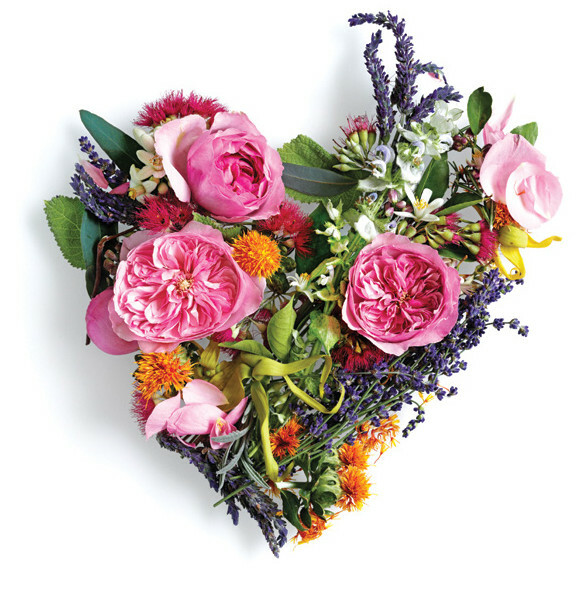 Aveda totally agrees, and believes that it is just a nature that can create the most effective products for our beauty. So why use chemistry? 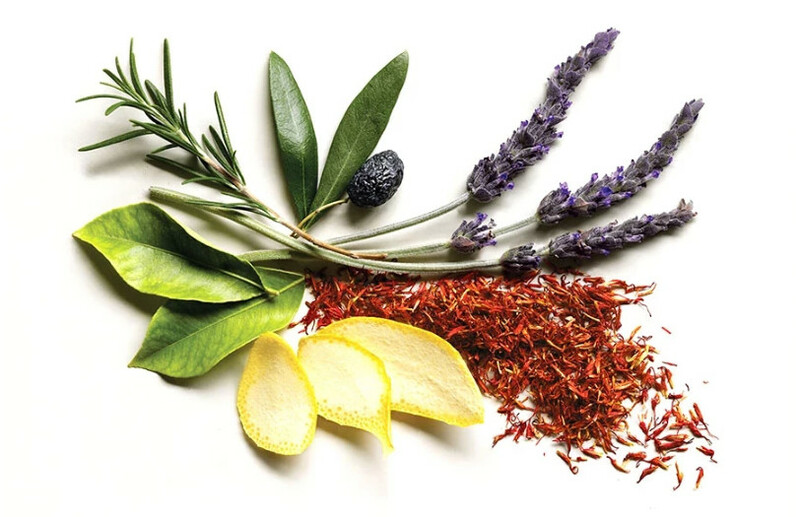 For this reason, Aveda has been trying to increase the amount of natural ingredients in its products from year to year. The composition of Aveda cosmetics is completely free of parabens, phthalates, SLS, SLES, gluten, mineral and petroleum substances. With Aveda you can be sure that you will always get a health-conscious product. Aveda doesn't want to let the innocent animal to suffer because of our beauty. 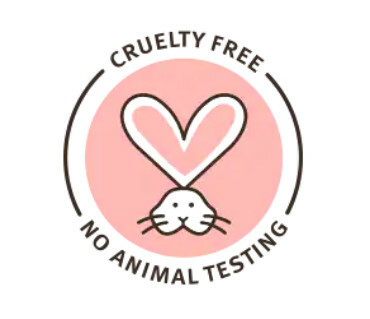 Therefore, it has been cruelty free since its foundation – in the time when the issue was not so much talked about. We like this move, big thumbs up, Aveda. The company also uses exclusive ingredients from producers who do not test on animals. Moreover, it constantly supports various organizations for the protection of endangered animals and plants, helping to protect and improve the environment they live in. Buying Aveda products you will contribute not only to your beauty but also to the good thing. Aveda products are also suitable for vegans. Although Aveda products are not certified as vegan or vegetarian, most of products are 100% vegan and do not contain any ingredients of animal origin. Exceptionally, ingredients such as beeswax, honey or whey proteins may appear in the ingredients list. There is no woman who does not wish for the divinely scented hair. Aveda knows, and therefore, the smell of its products makes a difference. It helps it in its own perfumery. And believe that it is something special. The Aveda fragrance is truly unique, instantly recognizable and addictive. And so Aveda clients often get the compliment where they have their perfume from. No one would say that it would be a shampoo or conditioner. And what is that unique fragrance made of? Aveda does not make a compromise here either! It doesn't use any artificial or synthetic aroma. It uses only pure plant or floral essences that are obtained responsibly and ecologically. It exclusively uses steam distillation to obtain the highest proportion of beneficial substances. That's why perfumers called and patented as Pure-Fume. If you thought Aveda won’t surprise you anymore, you weren’t right. Aveda also wins on the field of packaging materials. Even in this area it has become a pioneer. Packaging is made exclusively of recyclable plastics, mostly from sugar baptism. But that’s not all! Aveda tries to produce all products by using renewable sources, use certified organic paper and more. Thanks to this, it reduces its waste to a minimum. Aveda could be an example for other cosmetic brands, what do you think? 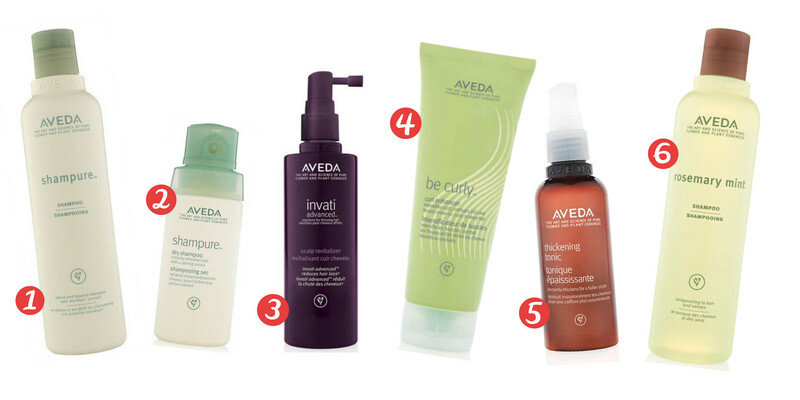 1) Aveda Shampure Shampoo - calming shampoo for all hair types. Calms the senses and fortifies the hair. Infuse your hair with a calming aroma, letting this moment of peace positively envelop you! 2) Aveda Shampure Dry Shampoo - naturally derived powders absorbs excess oil and impurities between shampoos. A beautiful moment of peace, even when you're in a rush with Aveda calming aroma in a hair-reviving powder mist. 3) Aveda Invati Advanced Scalp Revitalizer - a concentrated scalp revitalizer to instantly thicken hair with fullness that lasts all day. Reduces hair loss by 53%. 4) Aveda Be Curly Curl Enhancer - defines and strengthens curls and waves. 5) Aveda Thickening Tonic - instantly thickener for a fuller style. Your hair will not only be thicker but will be healthier. 6) Aveda Rosemary Mint Shampoo - gently refreshing shampoo for fine to normal hair. Adds body and volume, without stripping, build-up or static electricity.